Pearl necklace with Baroque pearls and a double sided silver seahorse with diamonds. 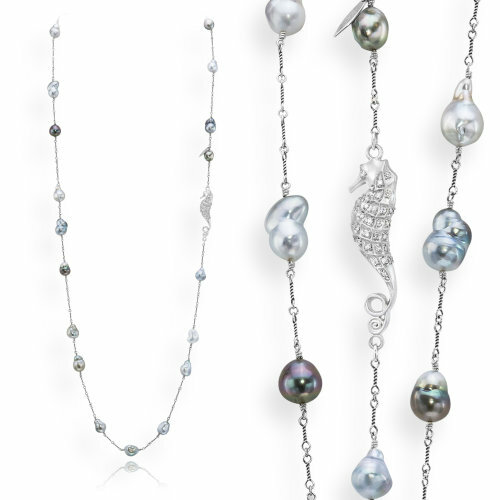 Baroque pearl necklace, from the Water collection, is made of cultured South Sea and Tahitian Baroque pearls with a silver double sided Seahorse encrusted with white diamonds. Silver chain spacers.